US equity indexes closed moderately higher, sp +19pts at 2743. The two leaders - Trans/R2K, settled higher by 0.5% and 0.3% respectively. 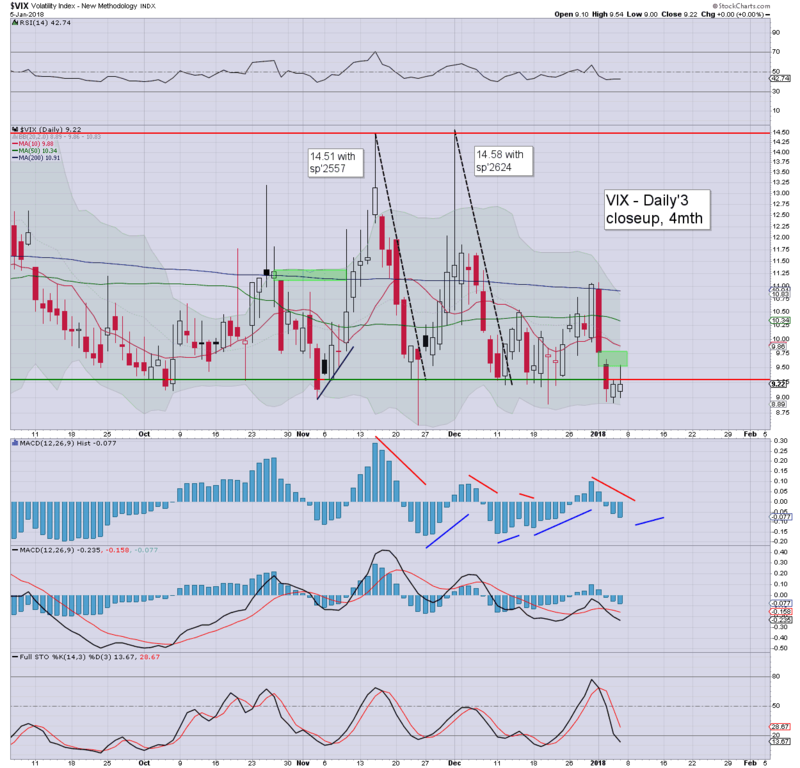 VIX settled +1.2% at 9.22. 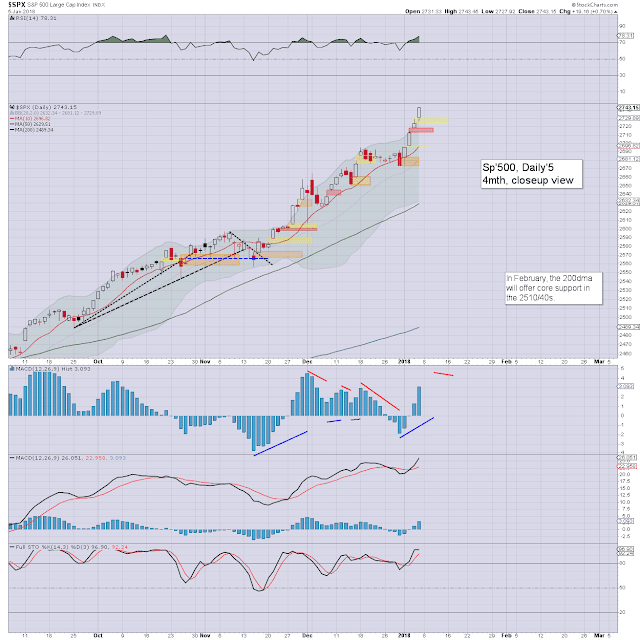 Near term outlook is bullish to the sp'2750/60s. 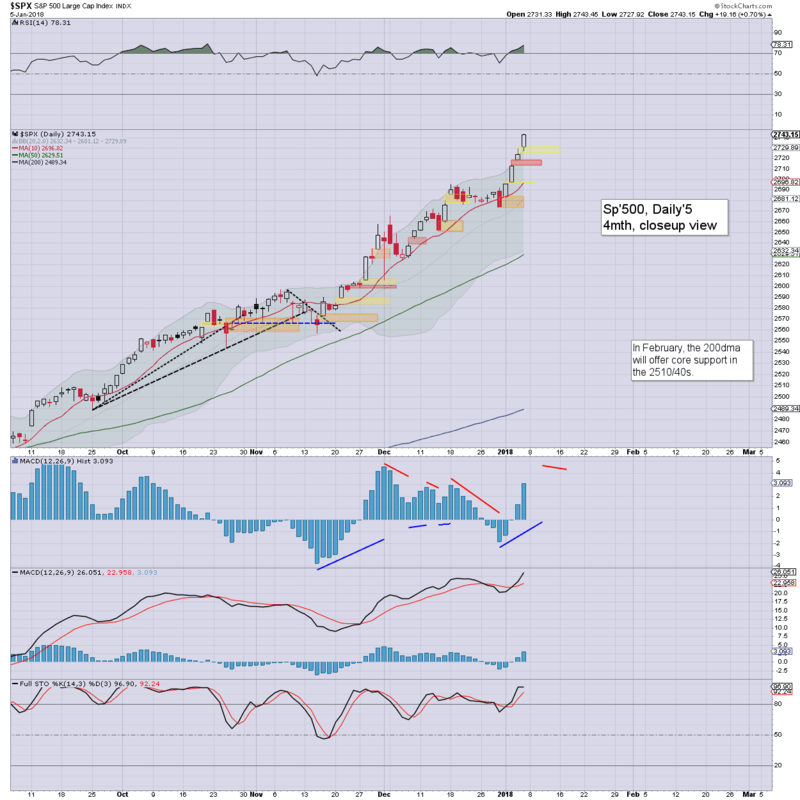 More broadly... next big target is the 2950/3047 zone, due in the summer. US equities opened higher, and settled higher for a fourth consecutive day, with new historic index highs in the sp, dow, nasdaq comp', nyse comp', and the trans. Only the R2K is missing out. Volatility remained naturally subdued, with the VIX settling the week in the low 9s. Even the low teens look out of range within the near term. 2017 failed to see VIX >20. 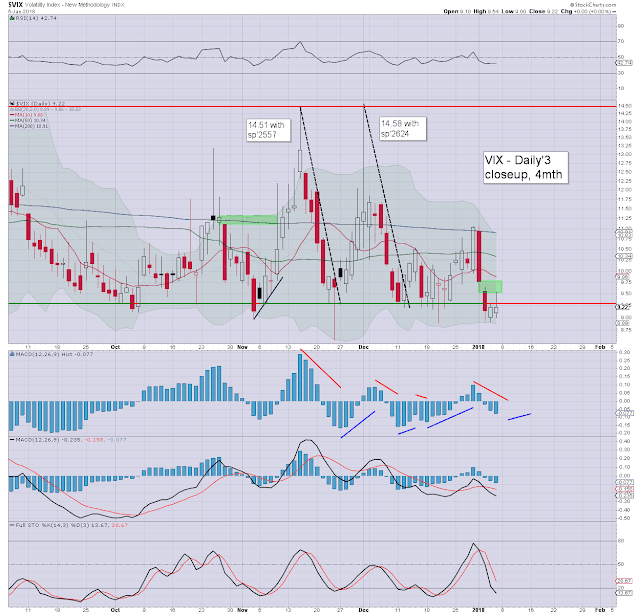 At things are, its difficult to see any chance of VIX until equities have at least climbed to the sp'2950/3047 zone. *the weekend post will appear Sat'12pm EST, and will detail my outlook for 2018.